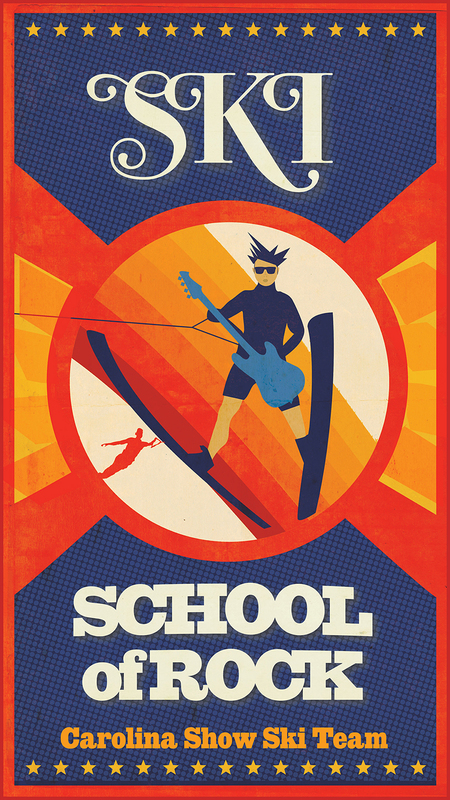 This year the Carolina Show Ski Team's theme is Ski School of Rock. We are very excited to create a rockin' good time for our audience, on land and on water. And we want YOUR help with that! Tell us what rock songs make you want to sing and dance in your seat? What are your favorite rock songs - the ones that make you happy when you hear them? Fill in the form and hit submit! Fill out your favorite rockin' roll song that makes you toe tap, dance and have fun! Maybe we will put it in our shows! Artwork created by http://www.adrenonline.com/ Reach out to Morgan Moore for awesome stuff!